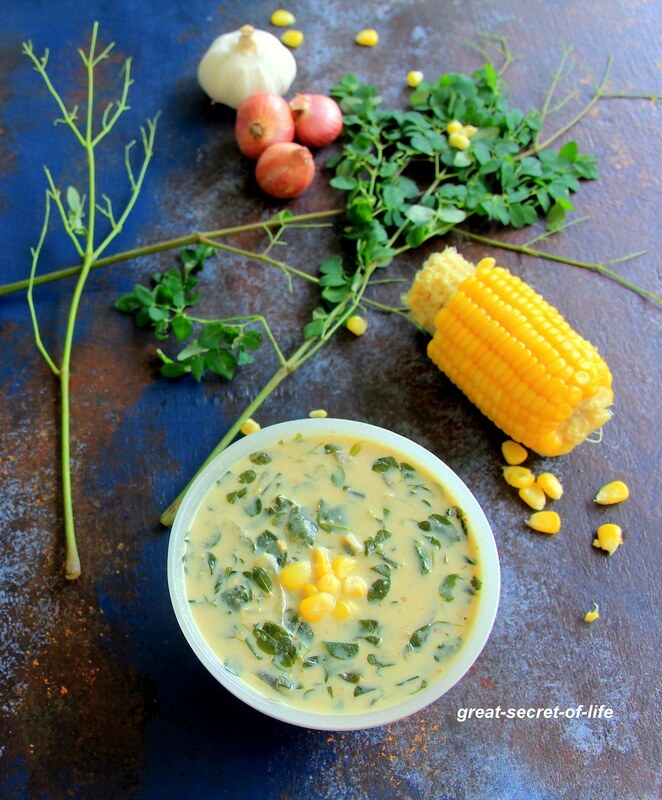 In the office, we were talking about moringa leaves and one of my friend referred to this blog for the soup recipe. It is more of a Non veg recipe regardless I thought the combo would work as Murungai keerai (little bitter if grinded) and sweetness from sweet corn would complement each other. I decided to try it out for my afternoon one pot meal soup. It came out pretty good. I decided to make Corn milk and add that to the soup. Perfect combo it is a keep recipe for sure. Prepare corn milk. 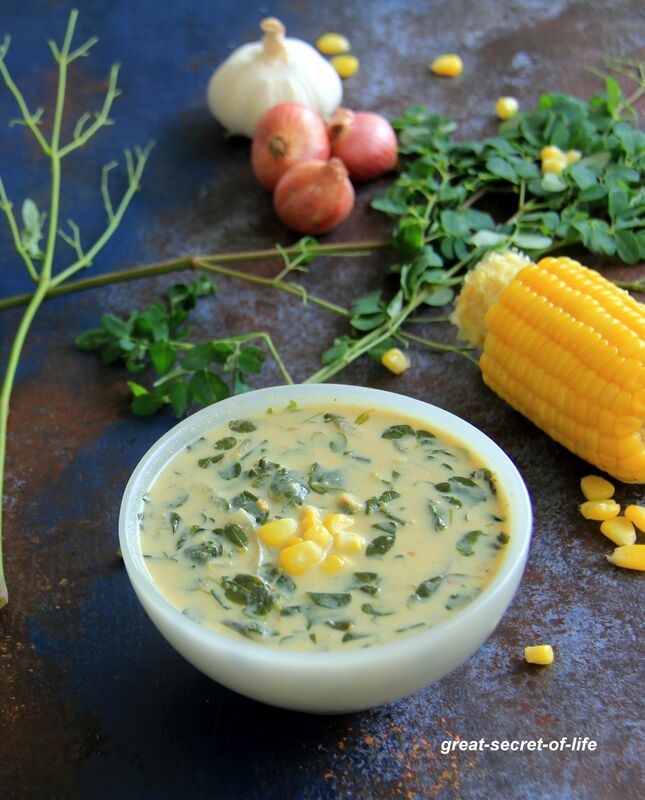 Add Milk to Cooked corn and grind to smooth paste. Strain to get the milk. Heat oil in a pan, Add Garlic and fry till slight brown color. Add onion and fry till transparent. Add salt, drumstick leaves and salt. Fry for a min. Close the lid and let it cook. 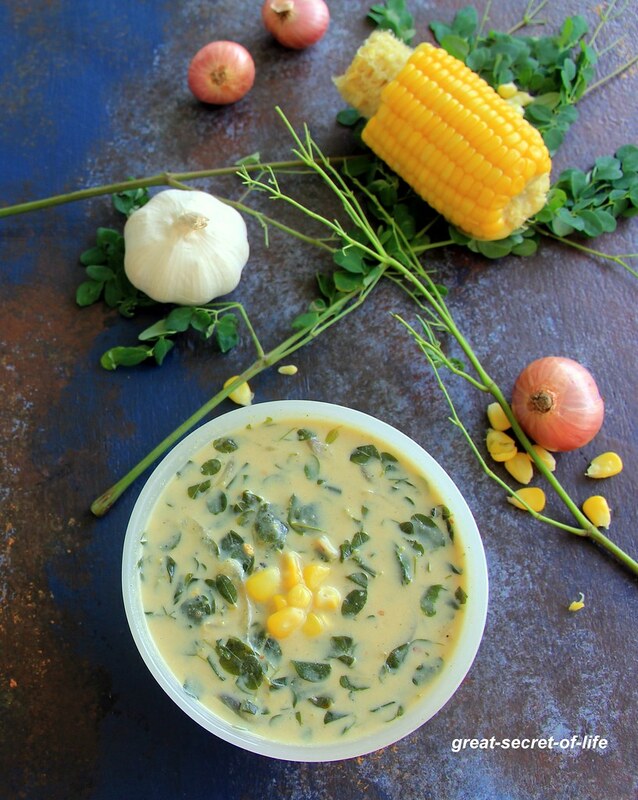 It looks so creamy in texture.... Great idea to add murungakeerai in soup form to children. Will try this soup for my child.